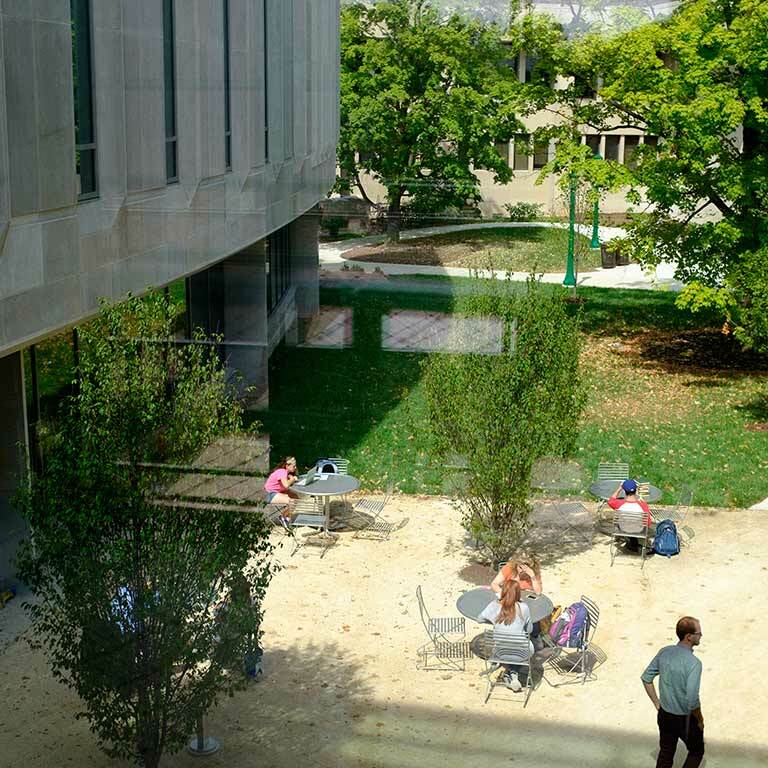 Every day, students and scholars from around the world pass through the soaring atrium of our splendid new home in a prime spot at the historic center of Indiana University’s beautiful wooded campus. Inaugurated by the U.S. Secretary of State in 2015, our Global and International Studies Building was especially designed from the ground up to foster world-changing learning and research. The atrium features a colorful wall of stones that connects Indiana’s limestone tradition to the nations of the world. For information about using building facilities, please visit the GISB website. HLS is the realization of the dream of IU’s legendary President Herman B Wells, who aspired to “bring the world to Indiana and Indiana to the world. Every aspect of our architectural landmark points to a global future. The building is LEED Gold-certified. 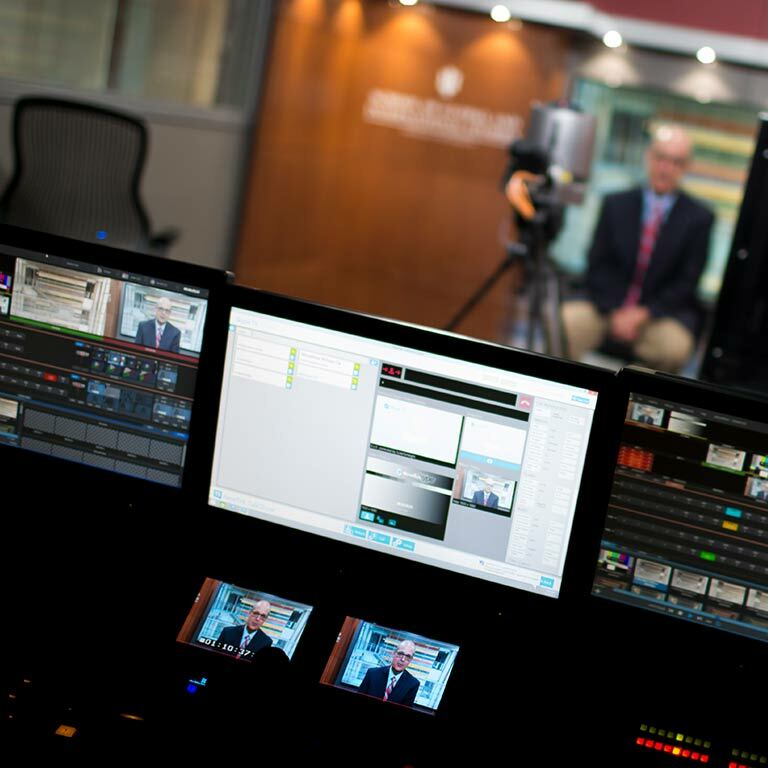 The building is fully wired to incorporate the latest digital technology and to connect to the rest of the nation and the world with a state-of-the-art broadcast studio. 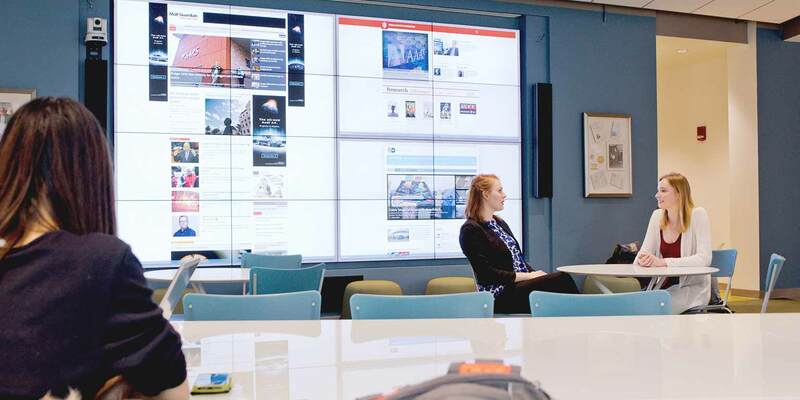 Our global lounge and its high-definition wall is a popular gathering point for our students and international students across campus.